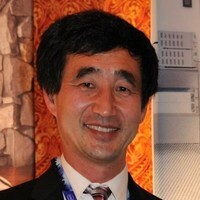 Congratulations to Weimin Han (OSU Physics, Ph.D. 1992) who has been selected as an Intel Fellow! Weimin joins a select group of people so honored by one of the world’s largest tech companies. He is currently Director of Thin Film Technology at Intel’s campus in Hillsboro, OR, and has been with Intel since 1992. Weimin remembers his time at OSU very fondly. “I am proud of OSU Physics and had a great, fun time while I was at OSU 30 years ago!” he said in a recent email. 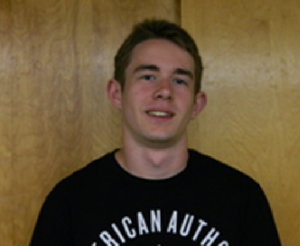 We remember that Weimin was an excellent student and that he has been a wonderful ambassador for our program. Weimin’s Ph.D. dissertation was on the NMR of GaAs at high temperature. His thesis advisor was Prof. John Gardner, who has since retired from OSU to start ViewPlus Technologies, an industry-leading manufacturer of high-definition tactile graphics. John says, “I am really proud of Weimin. He and I are much more than teacher/student. We are good friends.” John credits Weimin with helping him through a particularly difficulty period in his life. When John lost his sight in 1988, Weimin took him to the hospital several times and even took him on his first skiing trip as a blind person. “He is one of the nicest people on earth,” says John. One of the nicest people on earth is also one of the most technically and intellectually talented, and deserves such an honor! Well done, Weimin! Jihan Kim works with Prof. Bo Sun on biophysical problems. 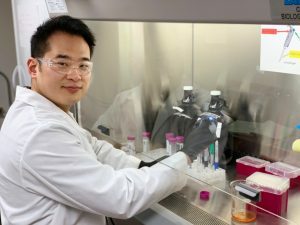 Jihan’s research focuses on the mechanics of cancer-extra-cellular medium (ECM) interactions, which is one of the major factors dictating the physiology of tumors. This is a particularly fertile ground for interdisciplinary research, as physicists are trained to analyze forces in complex systems. Jihan takes advantage of his physics knowledge in understanding deep biological questions. Jihan’s first project is to measure the force exerted by cancer cells in 3D collagen matrices, which simulate a realistic tissue environment. He quickly learned MATLAB programing, and wrote a sophisticated image analysis algorithm to enhance images, and to determine the 3D deformation field caused by cancer cells. After publishing his first paper in PLoS ONE, Jihan noticed that a pair of cancer cells can permanently remodel a collagen matrix by creating a bundle of concentrated collagen fibers between them. He talked to a friend during the APS meeting about the observation, which eventually evolved into a collaborative project published in Nature Communications. Having studied the forces generated by cancer cells and how these forces modify the cells’ environment, Jihan is working on his latest project. In this project, he studies how the environment direct cancer migration. Once completed, his PhD thesis will have a completed loop indicating the feedback between cancer cells and their physical environment. Posted in Awards, Graduate Students, Research. 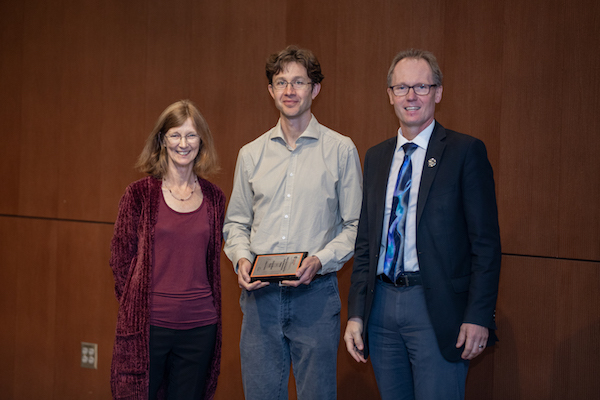 Ethan Minot, associate professor of physics, received the Milton Harris Award in Basic Research for his impressive accomplishments as a scientist. At Oregon State, Minot has built a world-class materials physics laboratory for the study of the structure and properties of carbon nanomaterials and devices for nanoelectronics. 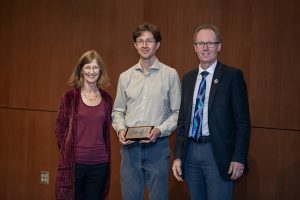 Ethan Minot (center) receiving the award with Prof. Janet Tate (left) and Dean Roy Haggerty (right). His research at Oregon State has pushed the limit of fundamental properties of nanoelectronic devices, which have a broad range of applications to biosensing and solar energy harvesting. Some of his achievements are: identifying the fundamental noise mechanism that limits the performance of graphene biosensors in liquid environments; becoming the first to electrically generate and detect single point defects; reaching a new level of control over point defect chemistry; and other pioneering advances in the development of high-quality nanodevices and biosensors. Scanning electron micrograph of a carbon nanotube (white filament) connecting metal electrodes (shaded yellow). 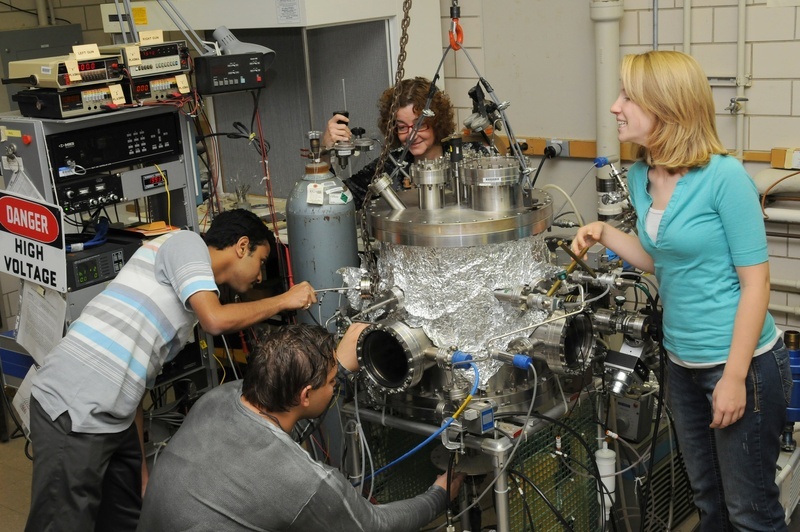 The American Physical Society has recognized OSU Physics for Improving Undergraduate Physics Education. Posted in Awards, Faculty, Teaching and Learning, Undergraduates. Just a reminder that our annual Yunker Lecture is this Friday the 20th. 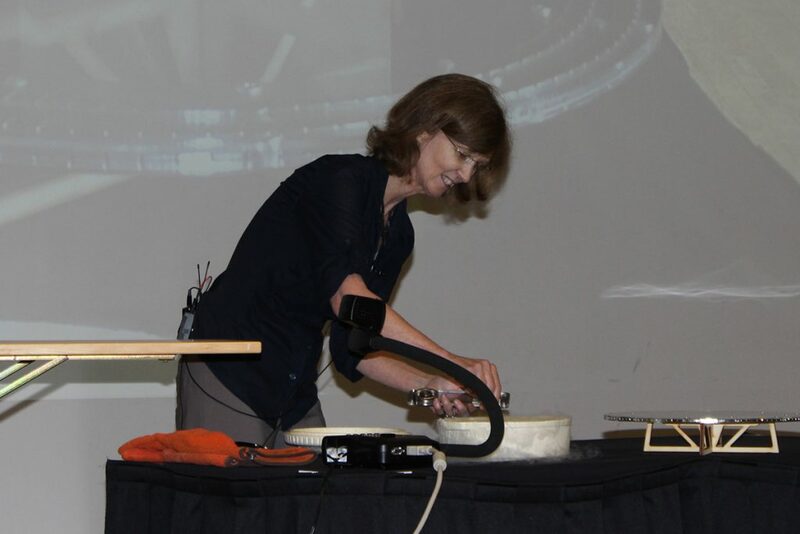 500 PM in Weniger 151 is the lecture by Prof. Laura Green, Chief Scientist at the National Magnetic Field Laboratory and past president of the American Physical Society. http://impact.oregonstate.edu/2018/04/yunker-lecture-explores-dark-energy-quantum-materials/ has a longer description. One correction is that the reception is now in Weniger 328 instead of 379. Posted in Awards, Outreach, Research. STARKVILLE, Miss.—A tropical cyclone authority at Mississippi State is a new selection for the American Meteorological Society’s Early Career Leadership Academy. 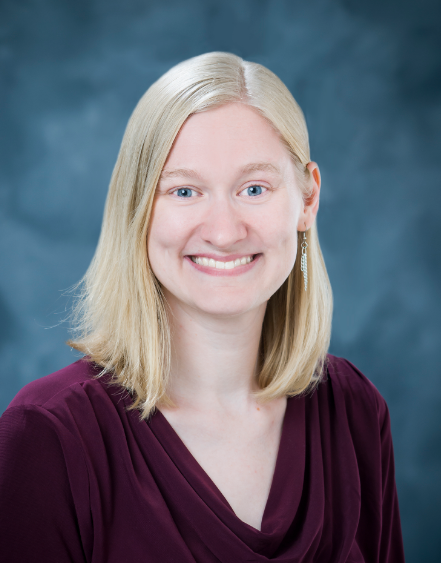 Assistant professor Kimberly Wood soon will be among nearly three dozen 2018 ECLA members receiving special training in Washington, D.C. She came to the Starkville campus three years ago. Founded in 1919 and headquartered in Boston, Massachusetts, the American Meteorological Society is the nation’s premier organization for atmospheric, oceanic and hydrologic sciences. Its 13,000 members include researchers, educators, students, enthusiasts, broadcasters and others in these fields. Supported by IBM, the AMS leadership academy works to sustain a diverse network of early-career achievers. Creative problem-solving, conflict resolution and enhancement of communication skills are major components of the curriculum. Wood is a 2012 University of Arizona doctoral graduate in atmospheric science and remote sensing. She became an AMS member in 2008. “Dr. Wood is the only MSU faculty member that has intentionally flown into the eye of a hurricane to collect data,” noted John Rodgers, interim head of the Department of Geosciences. Alongside experiences with hazardous weather systems, she has “excellent computer modeling skills and extensive knowledge of the application of satellite technologies to meteorology,” he said. Her research “adds a very important component to our already outstanding meteorology program,” Rodgers added. Wood said her leadership academy participation “already has borne fruit in the form of expanding connections with colleagues I may never have interacted with outside of such a program.” She also credits “strong support” from MSU colleagues and resources for the development of her chosen career. Last year, she was selected to represent Mississippi at a congressional visit day organized in the nation’s capital by the American Geophysical Union. After helping stress the importance of continued federal science funding, she was asked by the AGU to also join its Climate Science Day program taking place on Capitol Hill in early 2018. “I believe both experiences positively contributed to my selection for the ECLA, as well as the vision I have for my scientific career,” Wood said. Academy membership involves a rigorous evaluation process, with documentation required of major accomplishments, successful experiences communicating across cultures and disciplines, and challenges involving weather, water and climate systems. Wood is a Beaverton, Oregon, native who earned a bachelor’s degree in physics at Oregon State University. She also holds a master’s in atmospheric sciences from the University of Arizona. More biographical information may be read via the “About Us” link at the departmental website www.geosciences.msstate.edu. Missions of the American Meteorological Society and Early Career Leadership Academy are online at www.ametsoc.org. MSU’s College of Arts and Sciences includes more than 5,200 students, 300 full-time faculty members, nine doctoral programs and 25 academic majors offered in 14 departments. Complete details about the College of Arts and Sciences may be found at www.cas.msstate.edu. Posted in Alumni, Awards, Undergraduates. Prof. Janet Tate is one of three OSU Distinguished Professors! Janet Tate setting up her superconducting demonstration. The university has presented the Distinguished Professor award annually since 1988 to active OSU faculty members who have achieved extraordinary national and/or international stature for their contributions in research and creative work, education, outreach and engagement, and service. Professor Tate’s research focuses on creating new semiconductors with transparent circuits with electrical and optical properties that help solve problems such as the efficient conversion of solar energy and efficient light emission. Her research stimulated the invention of the transparent oxide transistor, the enabling technology for the Retina 5K display now found in many Apple products. 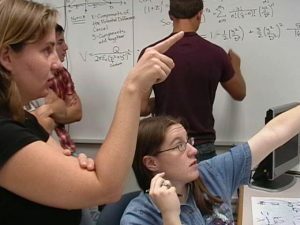 Tate’s contributions in the classroom earned her the Frederick H. Horne Award for Sustained Excellence in Teaching Science in 2002 and two OSU Mortar Board top professor awards. For more information regarding the 2018 Distinguished Professors, please visit the OSU news release on the award recipients here. Posted in Awards, Faculty, Outreach, Research, Teaching and Learning. Prof. David McIntyre of the Department of Physics, and Marisa Chappell of the School of History, Philosophy and Religion (SHPR) have been named the 2018 Honors College Eminent Professors. The award recognizes faculty for outstanding teaching, research and undergraduate mentorship. David McIntyre has been teaching physics at Oregon State since 1989, after earning his B.S. from the University of Arizona and a Ph.D. from Stanford University. He has mentored two honors students’ thesis projects and was one of four faculty members who led the inaugural Honors College London Experience in the summer of 2016. He regularly teaches the honors recitation of the introductory physics course. He allows students’ curiosities to drive class discussion, asking them to submit a question each week about the course material or about any sort of physics question on their minds. “When students are first starting out, they’re very eager. I appreciate how curious they are. I try to make it centered around them,” McIntyre says. He has brought in lively demonstrations to spark that curiosity. For instance, he has used a Levitron – a magnetic toy – to show how frogs float using magnetism. 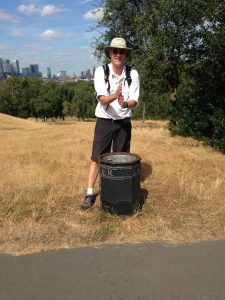 While teaching a course on Isaac Newton in the Honors College London study abroad program, he particularly took advantage of the possibilities for designing tangible experiences that illustrated and underlined course themes, including a trip to Greenwich to do navigational measurements with a sextant. “I try to present things in different ways. Everyone learns differently. In physics we have equations, graphs and words – all different ways to say things.” He says that over the years, he has continuously refined his teaching, finding out how to reach students and better determine what they already know and need to know. And, in turn, the students’ energy and curiosity inspire him in his teaching. “I got into academia because you’re guaranteed to work with younger and younger people and their energy. It’s why I’m in it. It’s just fun,” McIntyre says. The Honors College Eminent Professor awards are made possible through the generosity of Honors College donors, particularly Ruth Beyer and Joseph (Sandy) and Cheryl Sanders. For a list of previous honorees, see http://honors.oregonstate.edu/faculty-awards. A cancerous tumor has cells that act as leaders as the tumor invades and degrades the body’s extracellular matrix, a collection of molecules secreted by healthy cells that provides for their structural and biochemical support. Little is known about how cancer cells become leader cells or how a hierarchy is established as the invasion moves forward. Among the three scientists, who have not worked together before, there is considerable expertise in live cell imaging and analysis, mathematical analysis and statistical modeling, and tumor patterning and cancer migration. Digman, Presse and Sun formed their collaboration at the most recent Scialog: Molecules Come to Life conference organized by the private foundation Research Corporation for Science Advancement (RCSA). Scialog is a combination of “science” plus “dialog.” The unique conference encourages early career scientists to form multidisciplinary teams to identify and tackle critical research challenges. The program is designed to fund highly innovative, but untested, ideas with the potential for high impact on challenges of global significance. The $168,750 in funding for the trio’s research is provided by the Gordon and Betty Moore Foundation, which is co-sponsoring Scialog: Molecules Come to Life. Founded in 1912, Research Corporation for Science Advancement (www.rescorp.org) is the second-oldest foundation in the United States (after the Carnegie Corporation) and the oldest foundation for science advancement. RCSA is a leading advocate for the sciences and a major funder of scientific innovation and of research in America’s colleges and universities. Posted in Awards, Students, Teaching and Learning, Undergraduates.